o ease of operations. It is an ideal alternative to standard oil sealed rotary vane pumps. The ORION can quickly be added to your system with its built in particulate filters and silencers. The cooler running outboard bearing increases service life. 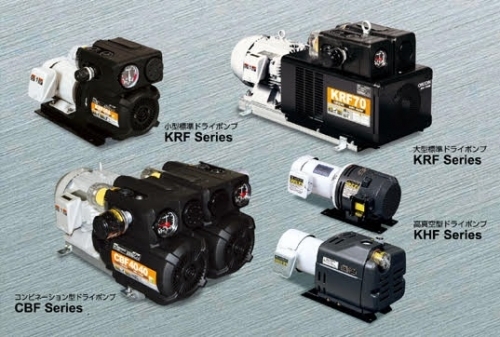 Dry Rotary Vane Pumps eliminate the need for oil, are virtually maintenance free and operate at a maximum of 70 dB(A). ORION pumps operate at a range of 5.5-150 CFM and can achieve an end vacuum of 27"Hg and pressure to 14 PSIG.